Remove three damage counters from each of your benched Pokemon. You cannot use Azelf LV.X for the next two turns. Comments : Put Azelf LV.X on your active Azelf. 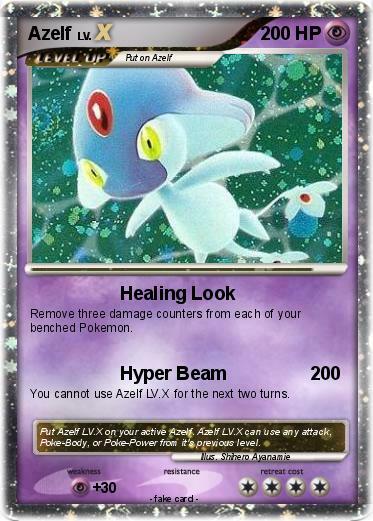 Azelf LV.X can use any attack, Poke-Body, or Poke-Power from it's previous level.